Kamkata-vari, the largest Nuristani language, contains the main dialects Kata-vari, Kamviri and Mumviri. Kata-vari and Kamviri are sometimes erroneously reckoned as two separate languages, but according to linguist Richard Strand they form one language. The Kamkata-vari language is spoken by the Kata, Kom, Mumo, Ksto and some smaller Black-Robed tribes in parts of Afghanistan and Pakistan. There are dialectal differences of the Kamkata-vari speakers of Pakistan. Most used alternative names are Kati or Bashgali. Kamkata-vari is spoken by 40,000-60,000 Kata, Kom, and other minor tribal peoples. It belongs to the Indo-European language family, and is on the Nuristani group of the Indo-Iranian branch. Literacy rates are low: below 1% for people who have it as a first language, and between 15% to 25% for people who have it as a second language. 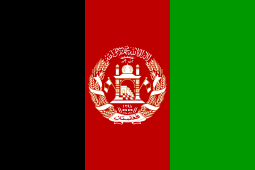 The Katavari dialect can be heard on radio in Afghanistan. There are four main dialects: Eastern Kata-vari, Western Kata-vari, Kamviri and Mumviri, the last two are sometimes erroneously defined as separate languages. ↑ Hammarström, Harald; Forkel, Robert; Haspelmath, Martin; Bank, Sebastian, eds. (2016). "Kati–Kamviri". Glottolog 2.7. Jena: Max Planck Institute for the Science of Human History. Strand, Richard F. (2010). "Nurestâni Languages". Encyclopaedia Iranica, Online Edition. Retrieved 2012-01-16. Strand, Richard F. (1997). "Nuristan: Hidden Land of the Hindu-Kush". Retrieved 2012-01-16. Strand, Richard F. (1997). "The kâtʹa, kʹom, mumʹo, kṣtʹo, biniʹo, ǰâmčʹo, and ǰâšʹa". Retrieved 2012-01-16. Strand, Richard F. (1999). "Kâmvʹiri Lexicon". Retrieved 2012-01-16. Strand, Richard F. (1997). "The Sound System of Kâmvʹiri". Retrieved 2012-01-16. Strand, Richard F. (2011). "Kâtʹa-vari Lexicon". Retrieved 2012-01-16. Strand, Richard F. (2011). "The Sound System of Kt'ivřâ·i vari". Retrieved 2012-01-16.